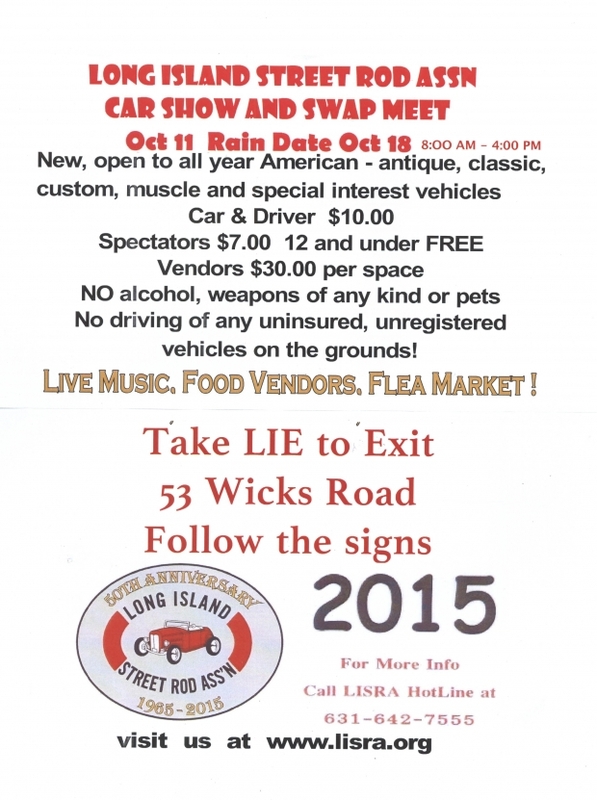 There will be five automobile car shows on Long Island this Sunday. The 1963 Mustang III Concept Show Car will be participating in the 11th Annual Americana Manhasset Concours D’ Elegance . 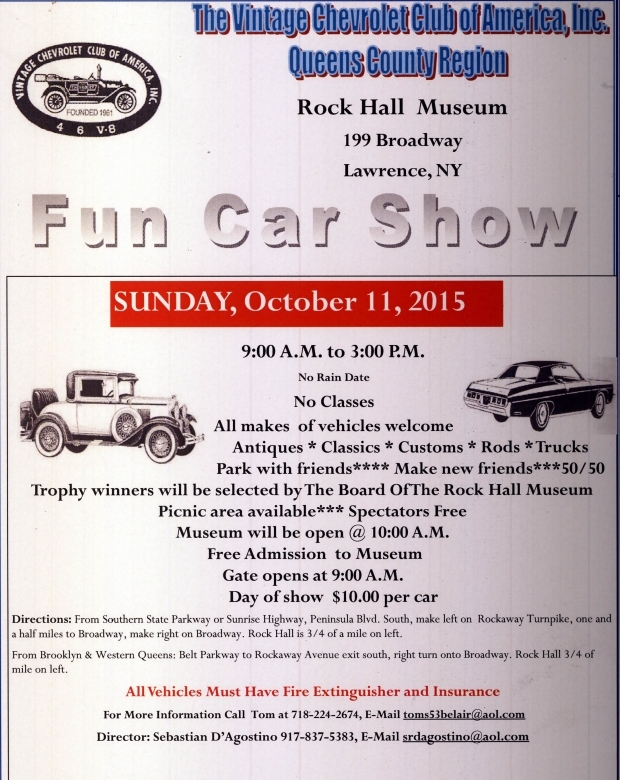 Upcoming presentations and Chrysler's Chrysler, Black Beast & Mustang III events. 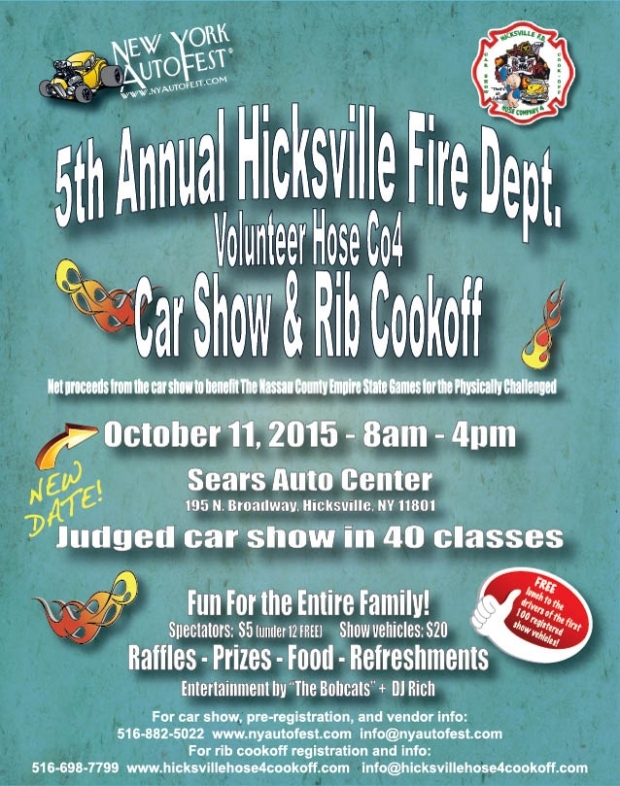 To promote your automotive event to over 3,000 weekly viewers, send your flyer to Howard@Kroplick.com . 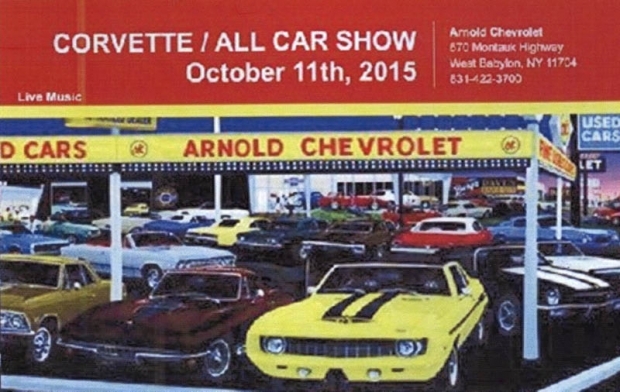 Rare and exotic cars of nearly every make and model will be displayed, demonstrated and judged on Oct. 11 during the Americana Manhasset’s 11th annual Concours d’Elegance. Judging is set to begin at 9 a.m., with an awards ceremony scheduled to take place around 2 p.m. on the north side of the luxury shopping center. Howard Krimko, former national director of the Rolls Royce Owners Club, will again serve as the event’s chief of judges. Cars expected to be featured include a 1908 Oakland and the latest Porsche 919 Le Mans race car, as well as a 1965 Ford GT 40, a 1967 Aston Martin DB6, the 1963 Ford Mustang III concept show car and a Ferrari P4/5 by Pinifarina. Glickenhaus’ 1967 Ferrari P3/4 Chassis 0846 took “Best Competition Car” last year. 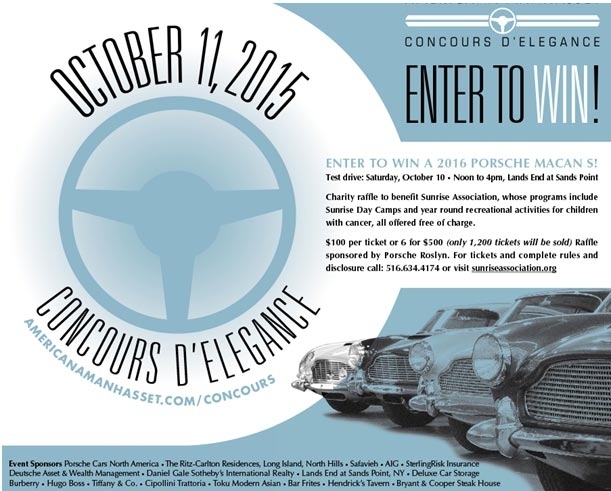 Proceeds from a raffle during the event for a 2016 Porsche Macan S* will benefit Sunrise Day Camp in Wyandanch, which supports children with cancer and their families. Raffle tickets start at $100 or $500 for six tickets and the chance to win a hole-in-one contest at the new Lands’ End Sands Point real estate development for a cash prize. The 1963 Mustang III Concept Show Car will be participating.